The District Court Judge presiding over the suit by Megaval Enterprises, Ltd., against Bank of America, arising out of the Rosemont Financial Seizure case, has been dismissed, though the Court has allowed the plaintiff to amend, one additional time. The case turns upon incorrect legal advice, allegedly given, by the defendant, to Rosemont Financial, that plaintiff was not required to register, as a money service business, with either FinCEN, or the Florida Office of Financial Regulation, to operate through Rosemont's B of A accounts. (1) On the negligence claim, (which hinges on the requirements that the defendant had a duty of care, that the duty was breached, that the breach caused an injury, and that plaintiff was damaged as a result) the Court found that "Megaval was not Bank of America's Customer, and Bank of America did not owe Megaval a Duty of Care. If you followed the Rosemont case, you know that its customers, including Megaval, held "sub-accounts" at B of A, through Rosemont. (2)"Even if Megaval was Bank of America's customer, Plaintiff still had failed to State a Claim. "The plaintiff has failed to plead a fiduciary relationship between the parties. (3) The bank had no duty, under the Uniform Commercial Code (UCC), to insure that Megaval, a non-client, had the appropriate state and federal licenses and permits. (4) The Plaintiff's claim for negligent misrepresentation also failed. The elements, as stated by the Court, are: ( a) A statement, made by the defendant, which he believed to be true, but which was in fact false. (b) The defendant was negligent in making the statement, because the defendant should have known that it was false. (c) In making the statement, the defendant intended that the plaintiff would have relied upon it. (d) The plaintiff justifiably relied upon the statement. (e) The plaintiff suffered loss, damage or injury as a result. The Court held that, since claims for negligent misrepresentation are fraud claims, they must be pled with particularity (specificity). the facts pled are insufficient. Additionally, Bank of America was not aware that its legal advice, which was rendered to Rosemont, was false, according to the pleadings. As I have previously stated, when the case was filed, Megaval's reliance upon a legal opinion of a third party, and without having competent counsel research the issues, and issue an opinion, based upon the law, was a major blunder. Their failure to obtain an independent legal opinion cost them $250,000 . The Court has given the plaintiff until tomorrow (October 31, 2014) to file its Amended Complaint. Can the plaintiff state a cause of action, given the facts of the case, or does the bank owe no duty to Megaval ? Stay tuned. WAS YOUR NEW BANK CLIENT'S EGYPTIAN PASSPORT REVOKED ? Egyptian media are reporting that the government has announced that it is revoking the passports of 800 Palestinians*, who received their passports during the former Morsi Administration. The grounds listed are fraud and forgery; no further details have been made available. Those whose passports are being revoked reportedly include Hamas co-founder and current Foreign Minister, Mahmoud Al-Zahar, who is an ethnic Egyptian, so you can assume that other senior Hamas officers are in the group whose Egyptian identity documents are being cancelled. The President of Egypt is said to have ordered the opening of an investigation into the issuance of over 13,000 passports to Palestinians, by the Morsi Government. The possibilities presented by these passports, for terrorist financing, are disturbing. (1) Was the passport issued during the term of the Morsi Government, between June12, 2012, and July 3, 2013 ? (2) Does the client have a verifiable residential address in Egypt ? With the closing of Hamas offices by the Egyptian Government, front or cover offices probably no longer exist for Hamas in Cairo. (3) Does your new client's Arabic contain typical Egyptian slang or terms ? (4) In what city, town or village was the customer born, according to the passport ? Is it within the current borders of Israel or the West Bank ? You can, alternatively, ask the Egyptian Embassy to validate a prospective customer's identity; they will probably tell you if the passport is no longer in good standing. It would be prudent to onboard any clients that you identify as Palestinians holding Egyptian passports, as they are most likely Hamas members from Gaza. 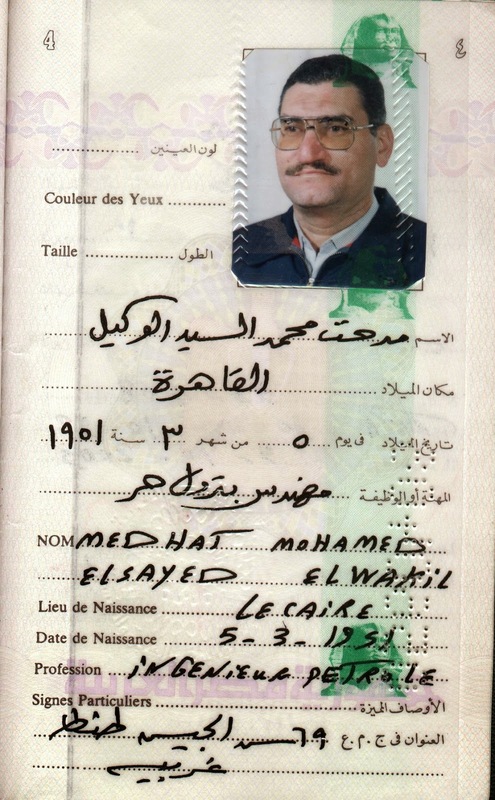 The passport below is for illustrative purposes only, Note that place of birth & date of birth appear on the photo page. Was he born before 1948 ? Before 1967 ? Where ? * It is probable that a large number of the passports were issued, based upon fraudulent representations that the applicants were of Egyptian ancestry or origin, and/or that they had no criminal records. Remember, "al-Masri," a common suffix in Palestinian family names, means literally , "the Egyptian." The United States Attorney's Office in Seattle has requested that the Federal Judge overseeing the cyber-crime trial of the Russian hacker, Roman Seleznev, be rescheduled to May, 2015. The stated grounds are that the complexity of the case, and the volume of discovery that must be reviewed by defense attorneys, are such that, with their exercise of due diligence, they cannot be adequately prepared for trial before May, 2015. Specifically cited by the Government was the fact that there are 20 terrabytes of evidence that must be reviewed by counsel before trial. The defendant is charged with the theft of over two million credit card numbers, taken from retail establishments in the State of Washington, and selling a portion of them. The maximum punishment that he could receive in this case is 30 years in Federal Prison. intention of the United States Government is to fabricate evidence against his son, with the ultimate goal of forcing the Government of Russia to exchange him for the American fugitive NSA contractor, Edward Snowden. Allegations that several Russian nationals have received stiff sentences in American courts, in what Russia regards as purely political cases, have appeared in Russian media in recent years, beginning with the extradition and conviction of the Russian arms trafficker, Viktor Bout. Public opinion in Russia has been very supportive of criminal defendants, convicted in US courts, who are Russian nationals, irrespective of their guilt. The District Court has reset the sentencing date for Richard Chichakli to December 4, 2014. This may be because the Pre-Sentence Investigation Report was submitted to the defendant after the due date. Given the defendant's extensive Pro Se post-trial motions, all of which were denied by the Court, an appeal is expected. ARE ARAB BANK'S POST-VERDICT ACTIONS SUSPECT ? Officials from the Arab Bank have announced that it intends to appeal the verdict entered against it in the landmark terrorism case, in US District Court in New York. While we can certainly understand that, the post-trial filings of bank counsel may indicate that the bank intends to further delay a case that has been pending for more than a decade, and in which the bank's tactics, which were contrary to established case law, and which resulted in the imposition of serious restrictions upon the defense at trial. Some observers, while understanding that this was an extremely complex case, believe that justice delayed is justice denied, and one of the objectives of the bank's defense was to attempt to wear out their plaintiffs and their lawyers. The bank's refusal to comply with discovery requests, citing bank secrecy laws in the Middle Eastern countries where it is licensed, which flies in the face of the Bank of Nova Scotia case, among other authorities, was dilatory, and unnecessarily delayed the progress of the case, in my opinion. Now, the bank is looking to engage in a course of conduct that could, in essence, give it two bites of the apple in the appellate process. Here's the situation: the bank has two post-trial motions pending. A Rule 59 Motion for a New Trial, and a Rule 50 Motion for Judgment as a Matter of Law. That is its right, but bank counsel has also alerted the Court that it intends to ask it to certify an Interlocutory Appeal, pursuant to 28 USC §1292(b). This type of appeal, which is purely discretionary with the trial judge, could result in giving the bank two opportunities to present its issues before the Second Circuit Court of Appeals, because, should the interlocutory fail, the bank would then still have the right to appeal on basically the same issues, plus what additional points it chooses to present. Such a course would again delay a final resolution in the case. Is not the proper thing to do simply to proceed with the appeal ? I believe so, but I do not see it happening. If the bank truly believes that the verdict should be reversed, then it should immediately appeal, and abandon what appear to be more of the dilatory tactics seen in this case since 2004. Ponzi schemer Joel Steinger, who was the principal owner of what was at one time the world's largest life settlements firm, Mutual Benefits Corp.,who pled guilty to a single count, to avoid what could have potentially been a life sentence*, and was sentenced to 20 years in Federal Prison, has now strangely filed an appeal of the judgment and sentence in the two cases. There's just one problem; in his Plea Agreement, and in consideration for the prosecution dropping all the other counts, he waived the right to appeal. So why has he appealed ? "... In exchange for the undertakings made by the United States in this plea agreement, the defendant hereby waives all rights conferred by Sections 3742 and 1291 to appeal any sentence imposed ... or to appeal the manner in which the sentence was imposed.... This waiver applies to any appeal of the defendant's conviction and sentence in Case No. 08-21158 and case No. 12-20123." Plea Agreement March 28, 2014 at 9. Mr. Steinger, who has prior criminal convictions, and is no stranger to the rules of procedure, would know that he cannot appeal, either his conviction or his sentence, and his trial attorney, as the lawyer of record on the appeal, would have certainly so advised him, when he signed the Plea Agreement, that he gave up certain rights, including the right to appeal. When the issues appear, in the initial brief of appellant, we will be in a better position to understand under what theory he is proceeding, although the appeal may be quickly dismissed before any brief is filed. We will be monitoring this curious case, and will update our readers as soon as any clarifying information appears. * The Sentencing Reform Act has abolished Gain Time for Life Sentences. Any defendant receiving a life sentence will die in prison, and never be released. The security situation in Egypt has deteriorated of late, and it appears that it will get worse. 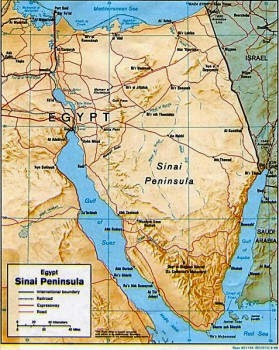 The attacks upon Egyptian military and police in the Sinai Peninsula have increased exponentially, and the perpetrators are known to be radical insurgent groups, trained by Hamas, armed with stolen Israeli weapons and equipment, and deployed from Gaza, using the cross-border tunnels not destroyed by Egypt. In response, Egypt has Instituted a State of Siege in the Northern Sinai, closed the only crossing with Gaza, and terminated its post-war role, as intermediary between the Palestinians and Israel, due to its belief that Hamas is behind the cross-border attacks. It is also planning either a no-go zone at the frontier, or a wall, similar to the one erected by Israel, on its border with the West Bank, and has asked the West for assistance in counter-terrorism operations. On Egypt's western and southern borders, radical insurgents, coming from failed states locked in conflict with their organizations, are entering the country at will, through the porous border. Libya's civil war threatens to spill over into Egypt. In light of the foregoing, and additional non-public facts, it is suggested that you immediately raise Country Risk for Egypt, and educate your bank clients as to the increasing level of risk these insurgent activities pose to Egyptian stability, and continuity of its present government. Panama's new reformist government has asked the Superintendent of Banking, Alberto Diamond R., to leave office, and indications are that he will do so in December. Diamond, who is closely related to the country's former President, Ricardo Martinelli, and is a partner of Martinelli in certain business ventures. Diamond is believed to have been responsible for the termination of investigations into money laundering allegations against specific Panamanian banks, the Financial Pacific insider trading scandal, and the massive money laundering, conducted in Panama, by the Colombian Ponzi schemer, David Helmut Murcia Guzmán. There are persistent rumors, in Panama City, that he will be charged with Abuse of Power, as well as multiple acts of corruption. Diamond allegedly diverted civil fines and penalties recovered by his office to his personal use. He cannot be summarily removed by President Varela, due to acts taken by ex-President Martinelli, while he was in office, which effectively prohibit his dismissal. Martinelli has been linked to the country's organized crime syndicate, which controls a number of banks and major corporations. Diamond's family also own interests in Panamanian financial institutions, which is a clear conflict of interest. Panama's inclusion in the FATF Grey List, and the increasing number of international banks that have chosen to exit Panama, and close their branches, have reportedly occurred due to Diamond's failure to suppress money laundering and terrorist financing in the Panamanian banking system. Recently, Diamond was interviewed, in depth, about his plan to deal with the problems of the Panamanian banking structure, but his responses were vague, and indicated that he intended that he intended to study the problems, rather than act to solve them. Unfortunately, most of the problems are of his own making. Given that Hamas is a Specially Designated Global Terrorist organization (SGDT), you do not want any of its leaders, all of whom also qualify to be PEPs, due to their access to funds, opening accounts in your bank. The dangers have increased, due to the imminent funding of the Gaza Strip reconstruction program, and given Hamas' long track record of systemic corruption, and illicit diversion of donations and contributions, you can fully expect that a large amount of the donated funds will end up in the hands of Hamas' leadership. How else do you think that these corrupt PEPs became millionaires, with luxury homes, and vast wealth ? (1) A wealthy individual, of Arabic descent, who is interested in initiating a substantial account relationship with your bank. (2) The currency will be US Dollars, either in the form of cash, or a wire transfer. If a wire, did it come from Turkey, Qatar, or the UAE ? (3) the individual will have a passport indicating citizenship in Jordan, or another Middle East country, as there has never been an independent state of Palestine*. The place of birth of the person will be in a town or city located in present-day Israel, or infrequently the area of the West Bank. More rarely, it could be in another Middle Eastern country; Yassir Arafat was born in Cairo; his family came from both Egypt and Syria. (a) Multiple first and middle names, often of family members who are deceased, or Islamic figures. (b) The name of a clan. (5) You can expect that the individual may pose as a prosperous businessman; you will, unfortunately, be unable to verify any financial information about his business operation, because it will be a carefully constructed cover occupation. Dig deep, and it will fall apart. (6) Lastly, your staff has overheard what can only be described as a couple of words in Palestinian Arabic slang. Any Hamas PEPs moving money into your bank have stolen or diverted it from badly-needed Gaza reconstruction programs. Do not risk any future terrorist financing, or providing material support to terrorism charges; keep Hamas out. * Notwithstanding claims of occupation, there has never been an independent state of Palestine. The British Mandate, 1920-1948, which included Jordan, took over from the Ottoman Empire, which collapsed at the end of the First World War. Jordan annexed what is today known as the West Bank, after the cease-fire between Israel and the defeated Arab armies, in 1948. Gaza was behind the Egyptian Army lines at cease-fire, and was administered by Egypt until the 1967 war. Amazon http://www.amazon.com has announced that it is now taking pre-orders for "The Laundry Man," which it will be able to ship direct to purchasers, on November 5, 2014. Previously, the copies came from the United Kingdom, where it is published. Type in "The Laundry Man and Rijock," in the Amazon website search box, for direct access to the relevant page. Kindle users can, of course, obtain electronic versions of the book wirelessly through Amazon. Thank you for your interest in "The Laundry Man." Spanish-language readers can find it as "Lavado de Dinero," available online through Ediciones B, in Mexico City. http://www.edicionesb.com . DID FATF MAKE A MISTAKE IN REMOVING TURKEY FROM THE GREY LIST ? 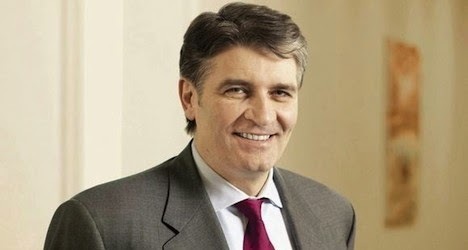 Turkey, the only NATO country to be on the Financial Action Task Force (FATF) Grey List of "jurisdictions with strategic AML/CFT deficiencies, that have not made sufficient progress in assessing the deficiencies, or have not committed to an action plan developed with the FATF to address the deficiencies," is to be removed from that list. This is, in my humble opinion, a serious error. (1) Turkey allows Iraqi truckers to purchase oil from ISIS/ISIL, and sell it on the black market, in Turkey; we call this terrorist financing in my book. 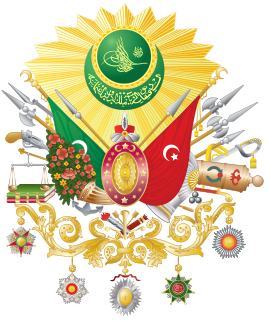 (2) Turkish ministers, and their sons, are deeply embroiled in a major scandal involving the sale of sanctioned Iranian "Gas for Gold," in a $13bn program. Turkish companies and banks are also believed to have facilitated $130bn in illicit transactions with Iran. (3) Turkey financially supports Hamas, a Specially-Designated Global Terrorist group (SDGT). It also allows Hamas to maintain offices there, and provides safe haven to some of its most senior leaders. (4) Remember our earlier article, dealing with five Turkish banks, with branches in Iraq, that are believed to be assisting in Iran sanctions evasion. if you did not see it, look for Are Five Turkish banks in Iraq Assisting in Iran Sanctions Evasion ? December 2, 2013. Do not lower your Country Risk assessment on Turkey, based upon the FATF decision, as it is deeply flawed. 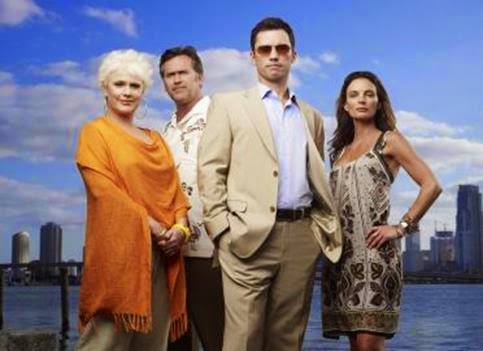 David Boden, the New York-licensed attorney* who served as in-house counsel at Rothstein Rosenfeldt Adler, the Fort Lauderdale, Florida law firm where Scott Rothstein perpetrated a billion dollar Ponzi scheme, creating bogus court settlements, and selling them to investors, has entered a plea of guilty to a single count of Conspiracy to commit Wire Fraud. Boden, who appears to be cooperating with prosecutors, will be allowed to travel to New Zealand in November, on business. The scope of his role in the Ponzi appears to be bit of a mystery, as he was permitted to plead to a minor charge. The defendant is shown, in the case, as being responsible for facilitating only $2m of investments in phantom settlements; The maximum penalty for this charge is five years in Federal Prison, while Scott Rothstein is serving ten times that amount. Whether Boden had a greater role in the Ponzi scheme than is reflected in the charges has not been revealed, as well as his cooperation. Sentencing has been set for January 9, 2015. * Florida Bar records do not show him as being admitted to the practice of law in the State of Florida. WILL CHINA'S PROFESSED NEW ADHERENCE TO THE RULE OF LAW CHANGE COUNTRY RISK ? The Government of China has announced what it asserts are new procedures designed to implement the Rule of Law in Chinese courts, which are notorious for bowing to the direction of powerful PEPs, who often direct the judges to enter rulings favorable to their interests, and contrary to both the evidence and the law. A word of advice: don't reduce your Country Risk assessment for China just yet, for the entrenched Communist Party, and the corrupt senior officials who run China, are not so easily removed from their position of influence. Should there be actual reform, and it shows up in court decisions that actually apply the Rule of Law, we will know that soon enough, but meanwhile Country Risk for foreign companies operating in China must remain elevated. So long as foreign corporations do not get a fair shake in Chinese courts, risk levels must remain elevated. The US District Court has again,for what must be a record sixth time, reset the sentencing date for Francisco Illarramendi, the hedge fund operator convicted of operating a Ponzi scheme whose victims lost $300-500m. Counsel for the defendant, who again argued that he has not completed his preparation, blamed the poor facilities where his client is being detained, the vast amount of information that must be reviewed, and the critical issue of calculating the exact amount of the monetary loss suffered by the victims, for the delay. Counsel's concerns are real. ;Illaramendi, who has gone through three attorneys during his case, could in theory receive a life sentence, if the Court decides to accept the loss estimates of the US Attorney's Office. A stiff sentence in this case, which is richly deserved, could serve a larger purpose; it would resonate in the hedge fund and alternative investment industry, and serve as a powerful deterrent to operators and managers of hedge funds. "... While housed in general population, Defendant will be permitted to visit with counsel in the general population visiting area, which permits contact visits between the visitor and the inmate. Counsel will be subject to enhanced screening before the legal visits, and the defendant will be subject to enhanced screening after the legal visits." Joint Submission Re: Legal Visits. The case goes to trial on November 3, 2014. The defendant's father, Valery, is a member of the Russian Duma, the country's Parliament, and he has alleged that the circumstances of his son's arrest in the Republic of the Maldives, which is outside US territory, amounted to an illegal kidnapping by American law enforcement agents. Readers can find the answer to that question in US vs. Alvarez-Machain, 504 US 655 (1992), in which the United States Supreme Court held that a trial court's jurisdiction is not affected by the manner in which the accused is brought before it. The law is clear: a money service business must have both a FinCEN, and a state license, to legally operate in the United States. 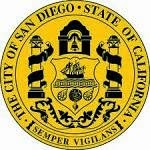 That point was painfully brought home a couple of years ago in the Rosemont Financial Corporation case, which cost many Venezuelan businesses obscene fines and civil penalties, but it appears that one San Diego attorney failed to read any of the articles covering the matter. Richard Medina, Jr., Esquire, and a co-conspirator, have been charged with multiple Federal felonies, including money laundering, for operating an unlicensed money transmitter business from that city. They operated what can only be described as a full-service money laundering money transmitter. It gets better; the defendants allegedly advertised that they could pick up six figure cash shipments, anywhere in the United States, and transfer the money globally, for clients who needed this money laundering service, with no questions asked about Source of Funds, or Beneficial Ownership of the cash. For the defendants, the customer was always right. Didn't this lawyer grasp the importance of an MSB license, or the AML/CFT laws and regulations for a money service business ? The final insult to our intelligence: the money was funneled through the lawyer's IOTA account. IOTA, which stands for Interest on Trust Account program, applied to attorney checking trust accounts, which hold client's money short-term, and which exist to send the interest earned thereon to fund court-approved programs. Using an IOTA account to launder money is not only stupid, as they are routinely audited, but a personal insult to the state bar association, and the judiciary, which selects the programs to fund. We trust that the Court applies an appropriate term of imprisonment for this attorney; perhaps he can read up on the requirements for operating an MSB in the prison law library. This is Calvin Ayre, a Canadian national believed to be currently residing in Antigua, but who has also been seen in Canada. 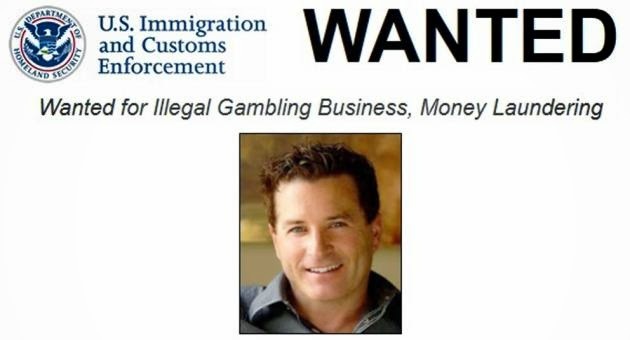 He is on the Department of Homeland Security/Immigration and Customs Enforcement Most Wanted Fugitive List, due to his indictment in the District of Maryland, for money laundering, and for massive violations of the Unlawful Internet Gambling Enforcement Act of 2006. 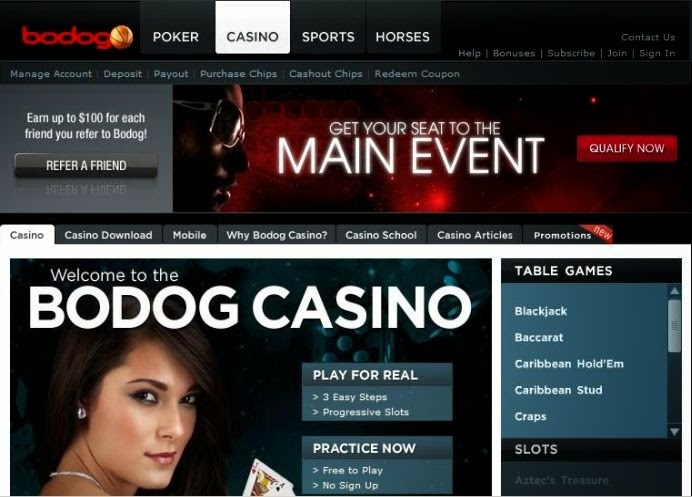 His billion dollar offshore Internet gambling empire, Bodog, using corporations domiciled in Malta, relies upon third-party financial institutions, outside of the United States, to pay its winners. In the event that an individual who looks like this photo seeks to open a corporate account relationship with you, his DOB is May25,1961, he is 6'2" tall, and weighs approximately 200 pounds. The leaders of Turkey & Hamas, holding hands. Turkey, which has become a major political supporter of the Hamas government in the Gaza Strip, and is playing host to a number of senior Hamas officials, who now openly operate from there, bears close watching, when donor funds for Gaza reconstruction begin to flow into the Palestinian Authority. Given the long and sordid history, of Hamas leaders siphoning off money for themselves, you can expect a portion of the reconstruction funds to be cleverly diverted into their pockets. Since all money stolen in the Territories cannot be safely kept there, due to the threat of discovery, and since Turkey is a known supporter, it is reasonable to expect that at least some of the diverted funds will end up transiting through Turkish banks, who will most certainly not ask the tough questions about Source of funds, and Beneficial Ownership of the cash. Therefore, once the funding begins, it becomes prudent to thoroughly examine all large corporate wire transfers, originating from Turkish banks, where the sender does not appear to be actively engaged in ongoing business, where the company sending the funds is newly organized, and where you cannot ascertain the purpose of payments. You do not want to unwittingly bank dirty money from an official who is with a designated terrorist organization, and whose illicit fortune is later exposed in a law enforcement investigation. 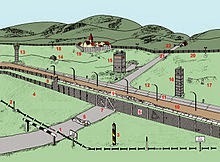 IS IT TIME FOR THE EU TO ERECT THOSE CUSTOMS BARRIERS AT THE SWISS BORDER AGAIN ? In what must be the absolute height of arrogance, the Swiss Government fined one of its nationals* for violating the country's bank secrecy laws. Trouble is, the man, who was a cooperating witness in the American UBS case involving Swiss bankers who entered the US to assist American tax evaders, was himself a criminal defendant whose guilt was adjudicated, and who was punished for his crimes. He frankly had no choice but to cooperate, given that he has immediate family residing in the US. Switzerland is trying to tell the US and the EU that it is cooperating, and it goes and burns a Swiss national, one of their own, for doing do ? The original purpose of the Swiss laws, hiding money from the Nazi regime, no longer exists, and, in a post- 9/11 world, things have to change. It is high time that the archaic Swiss bank secrecy laws be abolished, and the two trillion dollars of "flight capital", much of which is untaxed wealth, and some of which is dirty money, be repatriated to the countries of origin. Failing that, let us remember that Switzerland, which has chosen not to be a member of either NATO nor the European Union, is not critical to the economies of Western Europe. For good cause, preferential customs and immigration benefits extended to Switzerland can be revoked. Shall we put up the customs barriers again, or will Switzerland kindly join the rest of the financial world, and abandon its position as a shelter for tax cheats, corrupt dictators, drug barons, and terrorist financiers ? My advice to FATF: remember that the Government of Switzerland deliberately and intentionally, delayed its negotiations with the United States, over the disclosure of the names of US clients, for several years. 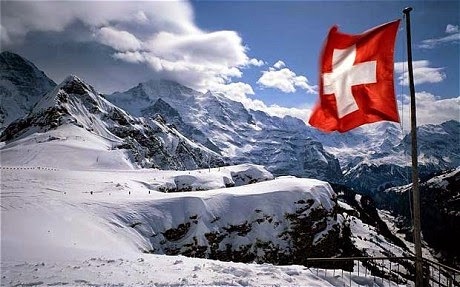 Don't be fooled; designate Switzerland now as a 'black" uncooperative tax haven. If you thought that Country Risk for Venezuela was already at dizzying heights, meaning that further financial exposure or investment is extremely dangerous, it just exploded off the charts. The price of oil, which Venezuela depends upon for 95% of its foreign exchange, has fallen to $82/bbl. Considering that the Government of Venezuela calculates the value of its oil at $120/bbl., the sharp decrease in oil prices means that the government could literally run out of capital for official services. The Bolivar (BsF) continues to hover around 100 to one US Dollar ($1.00), meaning that it is worth essentially one penny in foreign exchange, which continues to inflict serious damage upon the Venezuelan economy, add that to the oil price drop, and you have a perfect storm. It will be unable to maintain current social programs, the subsidized gasoline price for consumers, and many other expenditures that keep the current Venezuelan regime afloat. (1) The seizure of assets of foreign companies operating in Venezuela. (2) More cooperation with transnational drug trafficking organizations. (3) Assisting Hezbollah Venezuela with its illicit revenue-generating activities. (4) Seizing assets of Venezuelan nationals linked to the Opposition, after charging them with a crime under some pretext. (5) Selling more diamonds or gold to Iran. All of the foregoing possibilities will result in increased Country Risk for Venezuela. Frankly, any US or EU financial institution that now extends itself in Venezuela, whether with the government, or in the private sector, had better be prepared to lose the entire amount, for a total economic meltdown could occur at any time. Basic risk management principles dictate no new involvement. Conferees in Switzerland, declining to act, though under pressure from the Financial Action Task Force (FATF), have refused to recommend that cash transactions in excess of CHF 100,000 (USD$106,000) be banned, and instead recommended certain compliance record keeping requirements, according to the Committee on Legal Affairs. Cash transactions under CHF 100,000 will continue to have no reporting or record keeping requirements in Switzerland, to the consternation of FATF. (1) Identification of Beneficial Owner and Counter-parties. (2) creating and maintaining a written record of all such transactions. (3) Details of all unusual transactions shall be clearly stated. Conferees are also grappling with issues involving Beneficial Ownership, Politically Exposed Persons (PEPs), and the creation of a new tax crime involving evasion, among other important reforms, but will any real reform ever be enacted, so long as $2Tr sits in Swiss banks ? That's the question many observers are asking. Whether Switzerland is to be "blacklisted" by the OECD, for repeated failure to reform its anti-money laundering laws, for continues inaction, remains an open question. The French comedian, Dieudonne M'bala M'bala, whose racist performances are banned in France, has been charged with Money Laundering, tax evasion, and misuse of corporate assets. M'bala allegedly illegally transferred over €400,000 into Cameroon, using bulk cash smuggling, and wire transfers through Dubai; the defendant owns a front company that ostensibly exists to purchase oil for Cameroon. His wife and son, who are involved in his business activities, have been identified as facilitators in the illegal movement of money out of France. €660,000, in cash, was seized from his residence earlier this year, by French authorities. M'bala, who has large unpaid fines outstanding in France, for racist acts, as well as substantial tax liability, was banned from entering the United Kingdom, after he made negative reference to the British monarch, Queen Elizabeth, during a performance. The French Government has asserted that M'bala attempted to file a bogus bankruptcy, to escape payment of the numerous fines. M'bala's most controversial act is the use of a thinly-disguised Nazi hand salute, during his performances, and in public, which has enraged global public opinion, and caused the cancellation of all performances in France, due to his blatantly Anti-Semitic act. His racist conduct has been condemned by a vast majority of French citizens. 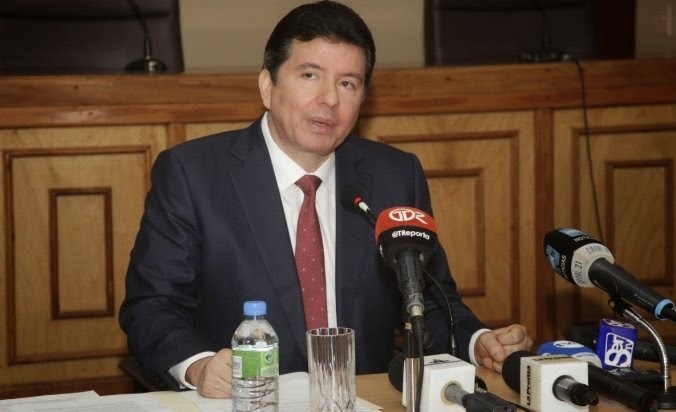 The Attorney General's Office of Panama has advised that it is unable to locate Magistrate Judge Alejandro Moncada Luna, who is the former Chief Justice of the Supreme Court of Justice, the highest court in Panama, and who has been charged with corruption. The National Police have been unable to locate Moncada, and are seeking the help of the public in locating him. Moncada is believed to have fled the country; it is not known where he is hiding at this time. The judge purchased multiple luxury condominium residences, for millions of dollars, though his take-home pay, monthly, after deductions, and including his expense allowance, is $7500, and his wife, María del Pilar Fernández, held only a nominal government position in former President Ricardo Martinelli's Office of the Presidency. In short, he has insufficient declared assets to make such large purchases. Moncada claims that he "borrowed" $700,000 from a party whom he rendered a favorable ruling for, while sitting in the Supreme Court of Justice. Such arrangements are prohibited under Panamanian law; judges can only receive income from teaching and lecturing, and any business with a party who has a case before the Court is improper, unethical, and illegal. Even if this money was a legitimate transaction, he still cannot account for more than $4m in additional cash payments made, to purchase luxury condominium apartments in Panama. Corruption in the Panama Supreme Court is believed to be widespread, with justices allegedly accepting bribes to delay civil cases for years, denying plaintiffs the relief that they deserve, and for keeping criminal appeals in limbo, thus avoiding the onset of a term in prison for defendants who have been convicted in a lower court. If you were wondering when the trial judge in Richard Chichakli's criminal case was going to rule on the plethora of Pro Se post-trial motions that he filed, so that he may be sentenced, it has now happened. In a 35-page Memorandum and Order, the Court disposed of all the pending motions, by denying the lot. (1) The Rule 29 motion, to set aside the conviction, and enter judgment of acquittal, which can be granted when the evidence is insufficient to sustain a conviction: The Court noted that the defendant had a heavy burden, and held that the essential element were proven. (2) The Rule 33 motion, which sought a New Trial in the Interests of Justice: The Court stated that the evidence was competent, satisfactory and sufficient to support a conviction. (3) The Rule 34 motion, for Arrest of Judgment, when the indictment is defective: The Court stated that it has already resolved that issue, against the defendant, in a prior opinion. (4) On the Speedy Trial issue: the Court stated that it properly excluded some time from the computation, due to a number of reasons; the Government had to deliver significant discovery, and the ends of justice were served, due to the defendant's Pro Se status. (A) Ineffective Assistance of Standby Counsel: The Court noted that there is no constitutional right to Standby Counsel, and in any event, the defendant is responsible for trying a case when he goes Pro Se. (B) Placement in the Special Housing Unit (SHU), which allegedly made his defense preparation impossible. Deemed legally insufficient by the Court. (C) Admitting opinion evidence of a prosecution witness;Not sufficient. (D) Jury misconduct; Court found did not occur. (E) Admission of FRE Rule 404(b) evidence of Defendant's aliases; Court found it proper and relevant. (F) Improper jury charge; Court finds it to be correct. (G) Failure to rule that classified material from Bout case was Brady material and discoverable. (H) Failure to produce search warrant and certain evidence. (I) Court's denial of defendant's request to call DEA agent and Federal Judge in Bout case. (J) Denial of defendant's request to call then OFAC head, Adam Szubin. (K) Allegation of perjured testimony of prosecution witness. In another filing Chichakli is asking for a delay in the November 14th sentencing, stating that he did not timely receive the PSIR from Probation. The court has not yet ruled on this issue. 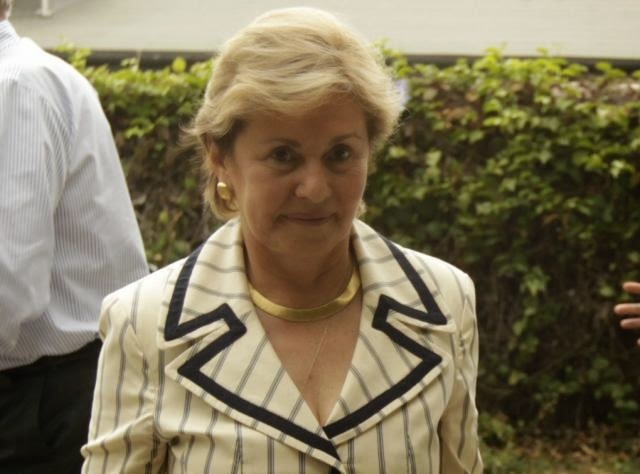 Yesterday, the former President of Panama, Mireya Moscoso, was the subject of an assassination attempt, which occurred at her Panama residence. Security forces fought off the armed attackers, who were attempting to enter her home. Two people were wounded, one member of the security staff, and a passerby. One of the attackers was also wounded, and he later died in the hospital. The two assassins, who were Colombian nationals, arrived on motorcycles, according to local media reports. Panamanian President Varela thereafter paid a visit to the ex-president, who was a close associate of former Panamanian President Ricardo Martinelli. 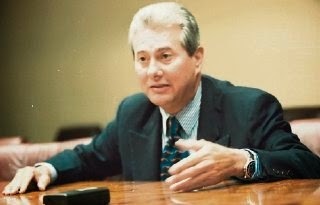 Martinelli's involvement in the Financial Pacific insider trading scandal may be, in the opinion of experienced Panama observers, the reason for the assassination attempt. 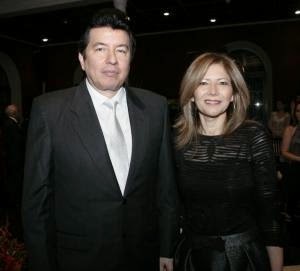 Ms. Moscoso is believed to be intimately familiar with the insider trading scheme, which illegally enriched many ministers in the former government, including Martinelli himself, and she could be a key witness in any criminal proceeding. Richard Pearson, a broker whose offices* were in the same building as Ponzi schemer Scott Rothstein's law firm, Rothstein Rosenfeldt Adler (RRA), has entered a plea of guilty to Conspiracy to commit Wire fraud, in Federal Court** in Fort Lauderdale, Florida, in connection with sales of Rothstein's non-existent legal settlements. He faces a maximum of five years in Federal Prison, and could be fined up to $250,000 . Pearson brokered purchases of Rothstein's bogus investments; the victims reportedly lost an estimated $2.4m, from their total investments of $3.3m. The defendant pocketed undisclosed commissions from both Mr. Rothstein, as seller, and the purchasers. * RL Pearson & Associates, Inc.
** Case No. : 14-cr-60229-KAM (SD FL). Francisco Illarramendi, The Venezuelan businessman whose hedge fund/Ponzi scheme was responsible for an estimated $300m in investor losses, is again seeking a delay in his sentencing. His attorney, who is the fourth lawyer to represent him in his Federal criminal case, has filed what was captioned "Sixth Motion for Extension of Time, etc. ", which, of course, includes a request to delay the October 28th sentencing, and the October 17th deadline for the filing of counsel's sentencing memorandum. Counsel has requested a delay until mid-November. (1) The material involved in calculating the actual loss of victims is voluminous. (2) The defendant is not able to review the material via a computer, as he is in custody ( his bail was revoked for misconduct), and he also does not have a separate work space, in jail, to review the material in hard-copy version. (3) Counsel is still awaiting the arrival of exhibits from Venezuela. This is a 2011 case, and notwithstanding the constant change of counsel, there is no excuse for a request for additional time, because it is much ado about nothing. The defendant has already made statements, on the record, about the extent of the losses, and those certainly qualify as admissions. Any efforts by defense counsel to further drag out the case, alleging that he still cannot calculate the exact amount of the losses, is purely dilatory, and verges on bad faith. In any event, we will know shortly, because the defendant's sentencing memorandum is due at the end of the week. Due to the huge losses suffered by the victims, will the defendant get 30 years, or even life imprisonment, for his crimes ? We cannot say, but if the Court wants to send a clear message to potential Ponzi schemers, and any hedge fund operators who are tempted to cross the line, this is a perfect forum to do so. (1) Illarramendi's reputed funding source for temporary money, when his Ponzi income receipts were insufficient to maintain the fraud; Venezuelan businessman Moris Beracha. (2) Beracha's former business partner, an elusive Spanish businessman; Javier José Ardura Gomez, whose relationship with Illarramendi remains a mystery. He is presently believed to be exporting commercial goods, from Colombia, into Spain. As I have stated before, both of these individuals have remained outside the United States during the pendency of the Illarramendi case, but since Federal criminal indictments are generally sealed, until the targets are taken into custody, we have no way of knowing whether any have been filed against either party. 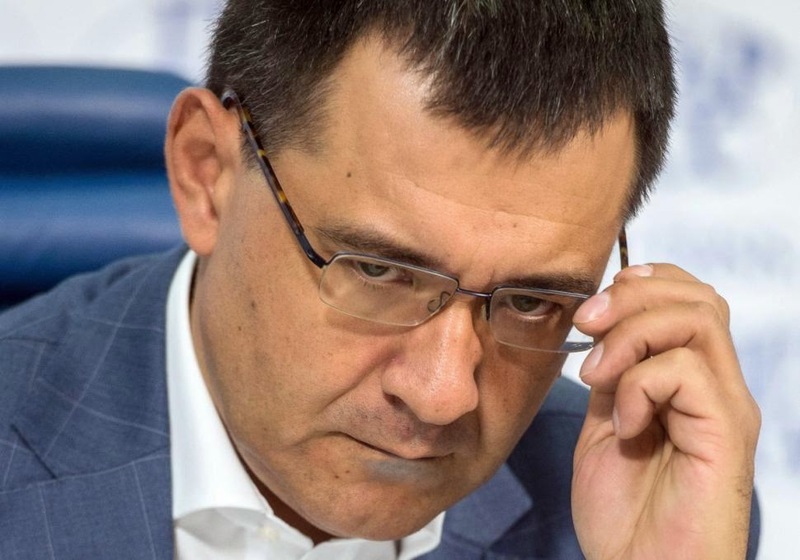 The Receiver's suit against Beracha was dismissed, but no details of the circumstances, including whether a financial settlement was reached, appear in the court file. We shall update our readers when the Court rules on the motion. The public disclosure this week, by former US Special Inspector General for Iraq Reconstruction, Stuart Bowen, that more than a billion dollars, in cash, delivered to the Government of Iraq, ended up in a bunker in Lebanon, was no surprise to anyone familiar with the situation. Bowen's frustration with American indifference to conducting a thorough investigation of the mega-theft is understandable, but you must remember that the stolen money, which was many billions of dollars in greenbacks, actually belonged to the people of Iraq, not the US, as it represented unfrozen Iraq oil profits, disbursed to the Government of Iraq, in the early days of the new administration. The injured party here is Iraq, not the United States. That being said, the back story should be brought out into the light. (1)The bulk cash smuggling, which was carried on by a Kurdish group, was conducted on behalf of one of Iraq's most powerful organizations. (2) The funds were smuggled out, in lots of $500m each, into Lebanon, where they were handled by an intermediary, and used to purchase real estate (mainly single-family residences) from Christian Lebanese owners, for cash. (3) When these residences are sold, the money will be effectively laundered. This is not to say that some of the money did not end up in offshore financial centers; a portion of the money was processed by one of the largest Swiss banks, and it is now in the bank, in Geneva. The bank's complicity is not an aberrant circumstance; it is one of those sanctioned by US regulators not too long ago. Therefore, if you were wondering why it is often so easy to obtain US Dollars in Lebanon, they were originally diverted from Iraq reconstruction funds, into the deep pockets of corrupt Iraqi PEPs, and transported there. A trial, in progress this week in US District Court in Fort Lauderdale, Florida, against former UBS wealth-management head Raoul Weil, is revealing a sordid side of the bank's operation that it did not intend you to ever see. Weil is charged with conspiracy to commit tax Fraud. Using trade craft that could have been taken from a cold-war spy novel, UBS accounts executives visiting tax-cheating clients in the United States employed counter-surveillance techniques designed to thwart law enforcement investigators. (1) The bankers stripped all references to client identities, as well as the bank's name, from customer statements. (2) When visiting customers in the US, the UBS bankers lied on their US arrival forms, claiming that they were tourists, or visitors strictly for pleasure, and not business travelers covertly meeting clients. (3) The bankers' business cards contained only their names, and mobile telephone numbers. One could not ascertain their employer, nor their title, from the cards. (4) The bankers waited until they arrived in America to contact their clients about appointments, insuring that client telephone records had no calls from Switzerland. (5) The bankers' laptops contained a second hard drive, which was automatically erased, should someone fail to properly enter the proper password at start up. (6) The bankers were instructed to change hotel frequently, so as not to arouse suspicion, when meeting a number of clients in their hotel suites. You can expect that the prosecution's witnesses, many of whom are former UBS bankers, will further illustrate the "spy tactics" used to interact with the Bank's American clients who were hiding their wealth in the bank. The net result will be a major black eye for UBS, as well as the Swiss banking system, for years to come. You can expect to see more cases like this in American Federal Courts, as it is estimated that there is $20bn in untaxed American wealth in Swiss banks. (1) the diversion of foreign aid funds to the personal use of these corrupt PEPs. (2) Well-meaning cash donations meant for Gaza's citizens, stolen upon receipt in Gaza, and pocketed. (3) Charging clearly excessive prices for goods and services in which the owner has a monopoly, conferred by Hamas. (4) Taking a portion of taxes collected from legitimate businesses. (6) Bank fraud and charitable donations diverted into Hamas pockets. (7) Covert payments from foreign supporters, including countries that are state sponsors of terrorism. Hamas leaders, Khaled Mashaal and Ismael Haniyah, are both billionaires; most of it is in US Dollars, although they have substantial real estate holdings, both within Gaza, and in other countries. The vast majority of senior staff, in all segments of this pseudo-government, are totally corrupt. A substantial portion of the $5.5bn now pledged for the reconstruction of Gaza will end up in the hands of the kleptocracy that is the Gaza Government. This means that there will be increased risk that portion of that money will be transported, covertly, by bulk cash smuggling, and openly, by wire transfer through cooperating banks in third countries, and eventually into international banks operating in Europe and North America. Some of your existing high net-worth account holders, who will be holding passports from a low-risk jurisdiction, either in the Middle East, or in Europe, and who are ethnic Arabs, may be making substantial deposits later this year. Not just Hamas officials, either; you can count on the Fatah/PA officials administering the fund disbursement to take a share for themselves. It will be up to you to absolutely rule out, through verifiable evidence, any indication that the funds are diverted Gaza aid. Otherwise, you must decline them. Given the fact that reconstruction money for Gaza has disappeared during rebuilding programs in prior years, you can expect that there will soon again be an obscene amount of cash stolen or diverted by Hamas. Without proof positive that it is legitimate earnings, as gatekeeper, do not let it in, lest you later find your bank in a law enforcement investigation for money laundering and providing material support to a designated terrorist organization..
Last week, after the Government of Panama refused to sign an agreement with the Government of Colombia that would have mandated fiscal information-sharing, regarding Colombians who hold Panamanian bank accounts, Colombia formally designated panama as a Tax Haven*. Under Colombian law, money transfers of Colombian nationals, into countries designated as such, are now taxed at thirty three (33%) per cent. This could cause a serious decline in Colombian investment in Panama; it is estimated that almost one-half of the foreign investments of Colombians is in the republic of Panama. Panama has complained that, if it was to sign such an agreement, it "would be detrimental to Panama's position as an international corporate and financial center. "In truth and in fact, wealthy Colombians have been hiding untaxed income, in Panama City bank accounts for decades. The money is typically held by Panamanian bearer share corporations, where local lawyers hold a Power of Attorney ( known in Spanish as a Poder), insuring that the identity of the beneficial owner never appears on the bank records. Panama City bankers have been among the most vocal critics of the Colombian action; several Panamanian government ministries have threatened to retaliate against Colombia. Although no specific measures have been mentioned, there could be political and economic consequences. The Government of Colombia appears to have taken a giant step in the direction of tax evasion suppression, and it is to be congratulated on such a bold move. Could the United States follow suit, or will the lobbying power of America's Fortune 500 corporations, who bask in Tax Haven benefits, at the expense of the US Treasury, kill any effort that would result in taking a bite out of offshore tax evasion ? * Offshore financial centers existing in a number of British Overseas Territories, and Crown Dependencies, have also been designated as Tax Havens by the Republic of Colombia. 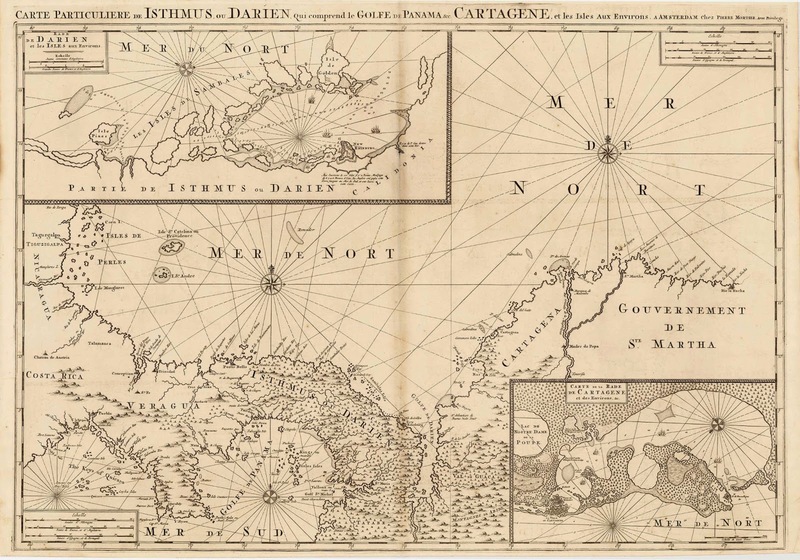 Anguilla, Isle of Man, Cayman Islands, British Virgin Islands, and Jersey, are listed. Other jurisdictions, that have one year to comply, or face Tax Haven designation, include Bermuda and Guernsey. It is not known how this will affect Country Risk, as it is limited to Colombian nationals. (1) A Motion for a New Trial; the bank claims that the jury committed "many serious errors,", and the trial judge committed "significant errors." (2) A Motion for A Judgment as a Matter of Law, asserting that the bank was "harshly sanctioned" for refusing to make discovery, where to do so would violate foreign bank secrecy laws, and barred the bank from advising why it could not comply, but instead the jury was advised that the bank had refused to comply with discovery laws. Extensive memoranda of law have also been filed in support of the motions. We shall avoid, at this time, covering the arguments cited therein, as they will certainly appear in depth when the case goes up on appeal, since the bank has already indicated that this is their intention. The chances that either of these post-trial motions are granted are slim, given the Court's prior rulings. The Arab Bank has released a statement, which I believe summarizes its legal position at this time; it has been posted on the bank's website, and you may access it here*. The case has generated global interest, as it holds, if affirmed on appeal, that a bank is liable to victims of a terrorist organization, if it knowingly provides material support to that group. In this case, it made payments, destined for the families of Hamas suicide bombers, and those of convicted terrorists who were in custody. Should the decision become law, specific knowledge of terrorist activities will not be required to find financial institutions liable for the sins of their known terrorist clients. 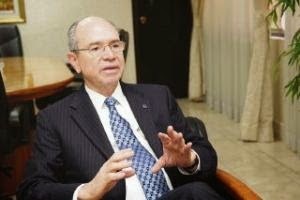 The National Bar Association of Panama, the country's powerful attorney organization, has filed a formal complaint against Supreme Court of Justice Magistrate Judge Alejandro Moncada Luna, who is the former Chief Justice of the Court, demanding his removal, for corruption. The bar association also requested that he be prevented from leaving the country. Notwithstanding rampant corruption in the Court, no Supreme Court Justice in Panama has ever been convicted of corruption, and served time in prison. The latest media count asserts that Moncada Luna has spent a total of $5m for luxury condominium apartments in Panama recently, all paid in cash. His attorneys have filed what seem to be motions designed only for the purposes of delay, in the pending criminal proceedings against their client, who is proclaiming his innocence, and alleging that he is being charged for purely political reasons, to pressure him to resign, though he has not revealed a legal source of funds for his multi-million dollar cash purchases, according to investigative reporters in Panama who uncovered the bribery scandal. The Government of Venezuela has announced that it will be hosting one thousand residents, from the Palestinian territory of Gaza, at its medical schools. One hundred Gazans, the initial group, has, according to Venezuelan announcements, already made the journey. The problem is, since Gaza is run by Hamas, a Specially Designated Global Terrorist group, what other activities will all these "medical students" engage in, while in Venezuela, and will American financial institutions, and corporate entities face increased risk of OFAC violations, through contact with Hamas agents seeking to engage them in business transactions ? Why am I skeptical about the motives of these "Students ?" The apparent nationality of the so-called students is a problem. As Palestine has never been an independent country*, many Palestinians hold Jordanian passports, and they could hold themselves out as such, when seeking to evade OFAC sanctions on Hamas. Also, given that 174 Venezuelan passports have reportedly shown up, in the Middle East, in the hands of Arab nationals who live there, expect some of the Hamas students to obtain legitimate Venezuelan passports, which is a direct threat to the US banks that do business with them. Hamas, whose declared aim is the establishment of a state under Sharia law, will include, in the "student" population intelligence and security agents, both to control the small minority of true medical students, and for other Hamas aims and goals, through criminal activities, which will certainly result in terrorist financing. Hezbollah has been funding its operations through Venezuelan-based crime for several years, so you can expect Hamas, to swiftly follow suit. (1) Carefully examine any new clients holding Jordanian passports, coming from Latin American addresses, to insure that they are not truly Hamas operatives seeking to gain access to the American financial structure, through their bank. Where does the passport say they were born ? if anywhere in present-day Israel, and outside of Jordan, you have a potential OFAC problem, and (2) Non Spanish-speaking individuals, holding Venezuelan passports, seeking the same access. Where were they born ? These 1000 Gaza residents will increase potential Country Risk levels for Venezuela; make sure that all compliance staff are aware of this new threat. 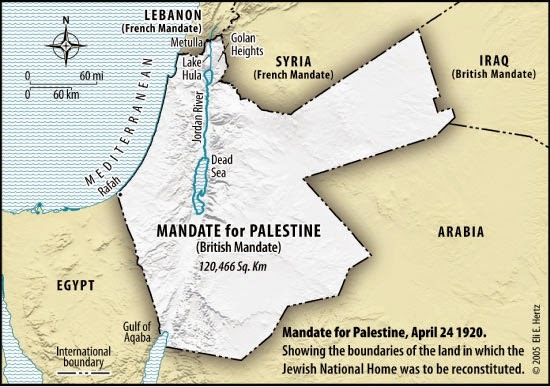 *Historical Note: The British Mandate of Palestine from 1920, which included all of present-day Israel and Jordan, was further divided in 1923, with most of the territory being designated as Jordan. If you know your history, you know that the post-World War I British colonial administration chose to designate the territory, taking a portion of the punitive name assigned to it by the Romans, which was "Syria Palestina," reportedly taken from the Phillistines, the ancient Greek inhabitants of the Mediterranean coastal area south of present-day Tel Aviv. Most Arab nationals who have designated themselves as Palestinians trace their 20th-century roots to Egypt or Arabia, which can often be ascertained from their last names. Jordan actually annexed the West Bank in 1950, and Egypt occupied Gaza. as it was on their side of the Armistice Line at the end of hostilities between the State of Israel and the invading armies of the Arab countries. Frustrated with what he believes is American indifference, Stuart Bowen, the former US Special Inspector General for Iraq Reconstruction, has disclosed that $1.2-$1.6bn, in brand-new US shrink-wrapped packages of $100 notes, was smuggled out of post-war Iraq, and into a bunker in Lebanon. Bowen assert that this is only the tip of the iceberg; additional billions in greenbacks, intended to pay bills of the new Iraqi Government, also ended up in Lebanon. Apparently, the Special Inspector General's investigation was shut down when the US refused to allow him and his staff to travel to Lebanon to see the bunker, which was said to also contain $200m in gold, belonging to the Iraqi Government. If any Lebanese criminal element, or terrorist financier, needed US Dollars for any illicit reason, the availability of literally billions in hundred-dollar notes, certainly facilitated their operations. No wonder an embarrassed US Government stonewalled the Special Inspector General's investigation in Lebanon. The location of this mysterious bunker is not identified, other to state that it is in a rural area. Considering that fact that the Iraqi Government is predominantly Shiite, one wonders whether some of this cash ended up financing Hezbollah's arms acquisitions. The Third Anti-Corruption Prosecutor's Office has now filed formal charges of Public Corruption against Fabrega. Apparently, there was evidence of improper contact, between Fabrega and Financial Pacific, that was discovered on agency computers. The case was based upon a formal complaint, with evidence filed anonymously by member of the SMV staff. Charges are also expected to be filed against Magistrate Judge Alejandro Moncada Luna, of the Supreme Court of Panama, who, while Chief Justice of the Supreme Court, blocked an insider trading investigation of Panama Pacific in 2012. Former President Ricardo Martinelli, and several of his former ministers, have been linked to illegal insider trading of securities, through accounts that they maintained at Financial Pacific. ** Fabrega was formerly with Universal Bank, which was controlled by the Virzi Group, and where he was involved in money laundering. CHINA'S PROPOSED REGIONAL DEVELOPMENT BANK FOR ASIA: A CASH CENTER FOR CORRUPT PEPS ? The Peoples' Republic of China has been advocating the formation of a new regional development bank, to meet the upcoming needs of Asia, but its proposed Asian Infrastructure Development Bank could become an illicit source of income for corrupt Politically Exposed Persons, both within and without China. China is reportedly pressuring both South Korea and Australia, both major trading partners, to sign on, though the United States, which feels that the World Bank, and the Asian Development Bank are sufficient to meet the financial challenges that Asia will present, opposes the concept. It has not escaped US officials that a new development bank, existing under Chinese auspices, might exert powerful influence over the countries of Southeast Asia. My problem with this new Asian development idea is the well-founded fear that it will feed the avarice of China's corrupt PEPs, who could prevail upon bank staff, which will certainly include Chinese members in its leadership, to award loans, in exchange for the covert payments of bribes and kickbacks from borrowers, since this type of corruption is rampant in China, and the new bank may even grant loans, which will never be repaid, to companies beneficially owned by the "princelings," the sons and daughters of Chinese leaders. Even with checks and balances, a certain level of corruption exists at the World Bank, as well as the ADB. Imagine a development bank run by members of a system where bribes and kickbacks, to senior officials, their family members, and their controlled companies, are the norm. I shudder to think of the consequences. It could even get worse; PEPs in countries outside of China could be encouraged to participate in sham transactions, the sole purpose of which would be to disburse funds to PEPs in other countries, with front companies, where the qualification for loans was arranged, for monetary consideration. 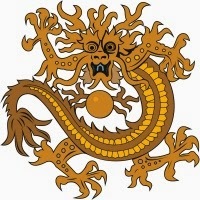 In short, a new regional development bank could further enrich the growing class of wealthy, but corrupt, Chinese PEPs. Let us hope that it never becomes reality. Yesterday, I learned of yet another example of the advance fee bank commitment scam, in which fraudsters victimize businessmen who need a bank loan to launch a new venture, and end up poorer for the experience. it might be instructive to detail this type of fraud, so that when a bank client of yours brings it up, you can explain how this version of the advance scheme works, and hopefully persuade him or her from participating. (1) A business that needs capital, generally in the form of a bank loan, learns about a financier who is a funding source. (2) the individual guarantees that he will be able to obtain a bank commitment letter for the victim, though there will be an advance payment for the document. (3) The advance fees are paid,and a bank commitment letter is delivered. (4) The commitment,unfortunately, has such onerous terms, or is so time-sensitive in its requirements, that the victim can never adequately and completely fulfill them in a timely fashion. (5) Alternatively, at the eleventh hour, the fraudster advises that an additional requirement has been imposed by the bank. These new terms are impossible to comply with. (6) Whether (4) or (5) is the stated reason, the victim is declared in default of the commitment, and he or she does not get the funding. The fraudster keeps the advance fee. I have seen the advance fee as high as ten per cent of the amount needed, which in some cases can represent a large amount of money in a multi-million dollar loan. You may have seen my articles last year, discussing the advance fee scheme perpetrated by a corporation called Atlantic Rim Funding Inc.; Feel free to refer to that case, should you wish to see an actual example of this type of fraud. Most court watchers agree that, after October 31st, any possible criminal charges against co-conspirators in the billion dollar court settlements Ponzi scheme, operated by Scott Rothstein at this law firm, Rothstein Rosenfeldt Adler, will be barred by the Statute of Limitations. Will the US Attorney's Office in Fort Lauderdale file at the eleventh hour ? We will be watching; stay tuned. Rumors abound that FinCEN is intent upon levying a civil penalty, in the millions of dollars, upon a former ranking compliance officer, who served at a money service business that has a number of money laundering violations. Remember your chain of command, ladies and gentlemen. It is the directors of any NBFI that bear the responsibility for major AML/CFT failures. They represent the most senior management, and the buck certainly stops there. Please do not let me see that some compliance officer, widely known for his innovations in compliance, is being made the sacrificial goat for the directors, who, at the end of the day, should take the hit. Remember, when there are compliance failures, and the compliance staff is good at their jobs, that means that their suggestions were trumped by the lure of profit, and their suggestions were vetoed by the directors. Don't blame the gatekeeper when the manager orders the sheep to be let out. fine and indict the directors, if you have any sense of justice and fairness.